The Kobakant tailor shop in Berlin offers to its more or less surprised clients a number of services, provided by electronically “upsmarted” fashion clothes. A broad spectrum of wishes, ranging from robust needs such as being electrically protected against unwanted advances, through uncertain requests such as having something that vibrates when one looks to the North, up to more sublime desires, for instance, for fancy luminescent party or event dressing, may be fulfilled. Yet Kobakant does not only offer a variety of prefabricated benefits, but instead they present themselves ready to fulfill whatever wish a client may express. This gives the whole endeavour a new, slightly uncanny twist: all of a sudden the clients may find themselves in the not always comfortable position to tell what they want. One may feel reminded here of the standard situation in fairy tales when a generous extramundane being offers some humans to fulfill three of their wishes. Significantly, as Sigmund Freud and Ernst Bloch have remarked (Freud [1919h]: 245; Bloch 1973, vol. 3: 1552) this leads in most cases to poor results. For example, for a married couple in a novel from Johann Peter Hebel’s collection “Schatzkästlein” (“Treasure Box”), to which both authors refer: the wife longs for a sausage, the angry husband swears that the sausage may grow from the wife’s nose, and finally both agree that the sausage should disappear again. Obviously it is all but easy to tell what one’s most important wishes are, or what one should wish in such a moment. The wisest first wish would, as Hebel has suggested (see Bloch, ibid. ), be wisdom – or, in other words: the first wish one utters should precisely be to know what one should wish. As Karl Marx has already perspicuously remarked, capitalist economy does not only produce commodities that satisfy existing needs, but also creates new needs (Marx 1857: 624). And philosopher Günther Anders noted that, at a certain moment, probably in the 1950ies or 1960ies, in many capitalist societies, when the notion of “Überflussgesellschaft” (“affluent society”) came up, not the goods, but the needs and requests have become scarce (Anders 1988, vol. 2: 16). This development corresponded to a shift in the ideological superstructure – from more or less authoritarian “Fordist” discipline to anti-authoritarian, neoliberal permissiveness. All of a sudden, individuals found themselves not anymore confronted with the question whether they were allowed to do what they wanted, but rather with the problem if they were actually able to want what they were allowed to. At this moment, “exhaustion” started to become the key psychic problem, as sociologist Alain Ehrenberg has analyzed (Ehrenberg 2004): repression (of inacknowledged wishes) was replaced by depression (the effect of lacking desire, of “unwished acknowledgments”, as it were). Under the condition of a majority of goods opposed to a minority of desires, knowing what one wants has become an increasingly difficult task. Obviously, this task has never been easy. As Benedict de Spinoza has stated, “in no case we do strive for, wish for, long for, or desire anything, because we deem it to be good, but on the other hand we deem a thing to be good, because we strive for it, wish for it, or desire it.” (Spinoza 1955: 137). Thus desire always precedes judgment, and – as a consequence – knowledge. Yet in an economy of scarcity, it may have been sufficient to keep in mind the teachings of Epicurus about the hierarchy of needs (Epikur 1995: 44ff. ): natural and necessary (such as a warm place to live, drinking water, food, the company of good friends); natural but not necessary (a big house, delicious food, servants etc. ); and not natural as well as not necessary (such as fame, recognition or power). Knowing what one wanted meant here to recall this hierarchy; to restrict one’s aspirations to the most basic needs; to be aware of the happiness that was accessible through them, and not to spoil it by “crazy opinions”. Happiness was thus actually a matter of “knowing” (what one wanted); an ‘epistemological’ question rather than an ‘ontological’ one: as soon as hunger or lack of friendly company had been overcome, happiness was accessible; and the problem did not consist in finding it but rather in recognizing that it was already there; that one had already found it. (A late echo of this Epicurean materialism is to be found in Bertolt Brecht’s poetic lines “Ja renn nur nach dem Glück/Doch renn nur nicht zu sehr!/Denn alle rennen nach dem Glück/Das Glück rennt hinterher.” Brecht 1984: 1118). The Epicurean triad “natural and necessary”, “natural but not necessary”, “not natural and not necessary” seems to perfectly correspond to Jacques Lacans distinction between “need”, “demand” and “desire” (see for this Evans 1996: 35ff.). In Lacanian terminology, the Epicurean principle can therefore be formulated as follows: “focus on your needs, and avoid demand as well as desire”. Since, as Lacan emphasized, “desire is always the desire of the other”, such a principle would amount to avoiding otherness – but, funnily, not in the name of ownness, autonomy or “personal” subjectivity; quite to the contrary, Epicurus’ principle would instead lead us to regard ourselves more like objects; or impersonal, needy creatures of nature; philosophizing animals, equipped with certain necessities, but also easy to satisfy. With regard to this point, something has changed in history. Ernst Bloch notes that in ancient and medieval times philosophers were keen to define a “highest good”. Modern, bourgeois society, to the contrary is, as Bloch explains, occupied with the question of the ideal self (Bloch 1973, vol. 3: 1559). This shift can be described in Freudian terms as a shift from “object-libido” to “ego-libido”: We are not so much concerned anymore with what we want to have than with what we want to be. Therefore our most precious objects are in most cases not objects, but rather protheses by the help of which we design our ideal ego – the “God of protheses” that Sigmund Freud has nicely described (Freud [1930a]: 92). This may be the reason why it seems particularily difficult for us to tell what we want. The question of “choice” has apparently become more delicate, compared to earlier epochs, as sociologist Renata Salecl has pointed out in detail (Salecl 2011). The difficulty does obviously not only stem from the fact that there are more options available today – 117 possible colour combinations for your small car, or 350 contact offers on tinder within one hour. Our grandparents who, in their village, may have only had 2 or 3 options for possible marriage partners and managed to decide for a lifelong relationship, would not have become mad with a broader spectrum either. On the other hand, we postmodern Hamlets would not be able to deal even with only 2 or 3 options. Apparently we have overcharged our wishes with the idea that the chosen object should be absolutely perfect and completely mirror our ideal self. This may be illustrated by the observations made by Andreas Reckwitz in his recent book “Gesellschaft der Singularitäten” (Reckwitz 2017): Whereas “modern” after-war generations were mainly striving for improving their life standard by standardized products, we “postmodern” customers go for “life quality” and aim at “singularized” objects that promise to emphasize our unmistakeable individuality. What has been called “cultural capitalism” nicely fits into this frame: we do not only buy an apple, but together with it a whole lifestyle of health, global justice or local production and sustainability – whatever may suit our desires, not for a fruit, but for an ideal self-image. Under the perspective opened by Günther Anders, i. e. the idea that our needs and wishes have become scarce, we might yet provide a slightly different description of this: Could we not say that instead of buying a good we are desperately trying to buy the wish for this good? When we buy, for example, a book – are we not secretely hoping to get not only the book, but rather the whole atmosphere of leisure time in a quiet reading room, undisturbed by electronic media? Is “cultural capitalism” not another name for the desperate attempt to sell to people the desire they find themselves unable to have? From this perspective, the ladies from Kobakant turn out to be not only witty artists, but also pretty good merchants: for they offer a “smart” piece of fashion in exchange for somebody’s wish. And, in these times, trading in a fulfillment for a wish may be an excellent deal. 2014 Gibt es eine Kunst des klaren Wollens, Gespräch mit Wolfram Eilenberger, in: Philosophie Magazin Nr. 05/2014: 60-65. 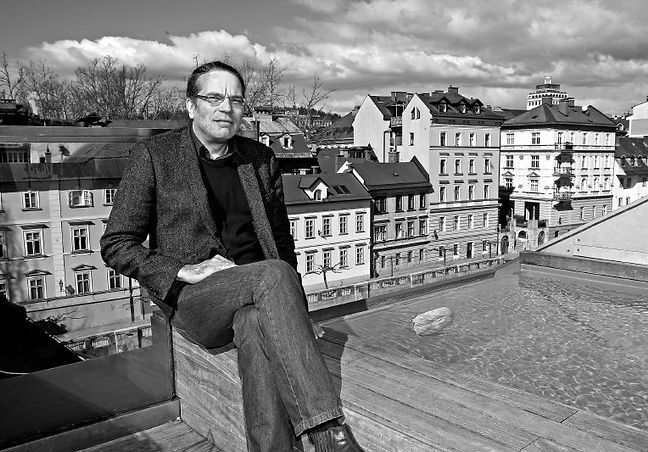 Robert Pfaller is a Professor of Philosophy and Cultural Theory at the University of Art and Industrial Design in Linz, Austria. Founding member of the Viennese psychoanalytic research group “stuzzicadenti”. 2007 he was awarded “The Missing Link” price for connecting psychoanalysis with other scientific disciplines, by Psychoanalytisches Seminar Zurich – for the German edition of his book “The Pleasure Principle in Culture: Illusions Without Owners” (“Die Illusionen der anderen. Ueber das Lustprinzip in der Kultur. Frankfurt/Main: Suhrkamp, 2002).